Discussion in 'GTS Photo Mode & Scapes' started by Cytoria, Mar 14, 2019. "Choose one of the open wheel cars in the game, apply them an F1-themed livery and take a picture of it on one of the Formula 1 circuits." - Only open wheelers (Red Bull X2014 allowed). 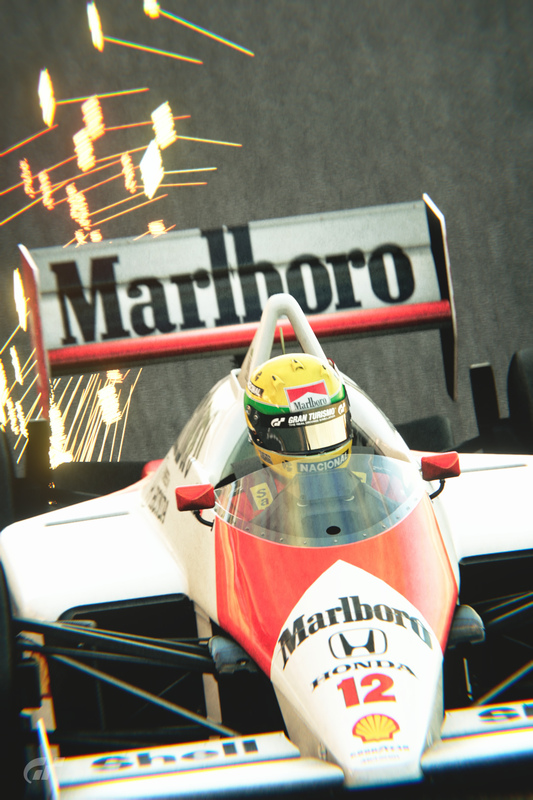 - F1-themed liveries, from any era. - See the description above. The only way you can take part is to be a member of the GTPlanet forums. If you haven't created your account yet click here. AgentBlackDog, Nismonath5, LEGODUDE2017 and 1 other person like this. p78 and TaSiMa like this. Oh man, I cant wait for the season to kick off! Yes, you can use the Jr.
Nismonath5 and GT_brickhole like this. Finally, I have an excuse to finish the livery I wanted to do for the F1500. The livery will be a replica of course but is it okay if I add some embellishments compared to the original? I found there's still some space to add a few extra decals. SWAGMASTER69, AidenNewman888, nickf1gr and 8 others like this. SWAGMASTER69, AidenNewman888, svenhjs666 and 18 others like this. AidenNewman888, svenhjs666, nickf1gr and 11 others like this. AidenNewman888, svenhjs666, nickf1gr and 13 others like this. "Highway To The Degner Zone"
I had already wanted to make a replica of the current Mercedes F1 livery for the F1500 so this was good timing. AidenNewman888, AgentBlackDog, J24681357 and 4 others like this. Exactly how many “opened wheeled” cars are there? Upon further research, I’m only seeing a few. Is that right? I guess Karts count as well? I want shots of cars like F1 (F1500 T and Mercedes F1) or similar (Red Bull X…), so kart are not allowed this time. Cytoria and sinner like this. AidenNewman888, svenhjs666, Raphaele and 8 others like this. NBDESIGNZ, AidenNewman888, AgentBlackDog and 5 others like this. 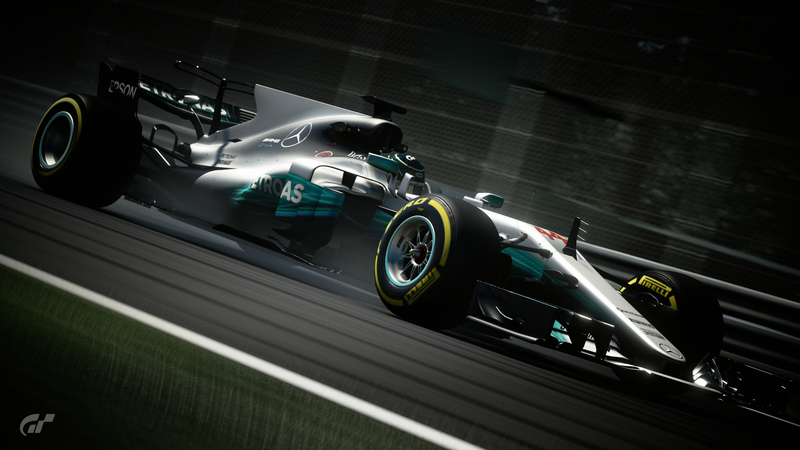 Can you use the colour variation version of the F1 W08? It's an F1 car, but technically without a F1 Themed Livery. No, since you can't apply a livery. AgentBlackDog, Naveek Darkroom, AidenNewman888 and 6 others like this. I have the black one that has the AMG EQ Power+ logo on the side, so is that not technically a livery? Tried to make this look as realistic as possible. AgentBlackDog, svenhjs666, SWAGMASTER69 and 6 others like this. NBDESIGNZ, AgentBlackDog, Scaff and 5 others like this. NBDESIGNZ, AgentBlackDog, atlop and 4 others like this. at1503, atlop, Raphaele and 6 others like this. No new entries beyond this point. You can still correct/update your pictures before I launch the poll tonight. With only 12 entries, the poll will have an unique choice, unlike the previous ones. The new theme is out too.